DEERFIELD TOWNSHIP, Ohio -- When Dale and Patty Hipsley first opened Half Day Cafe in Wyoming in 2006, their children were in elementary school. 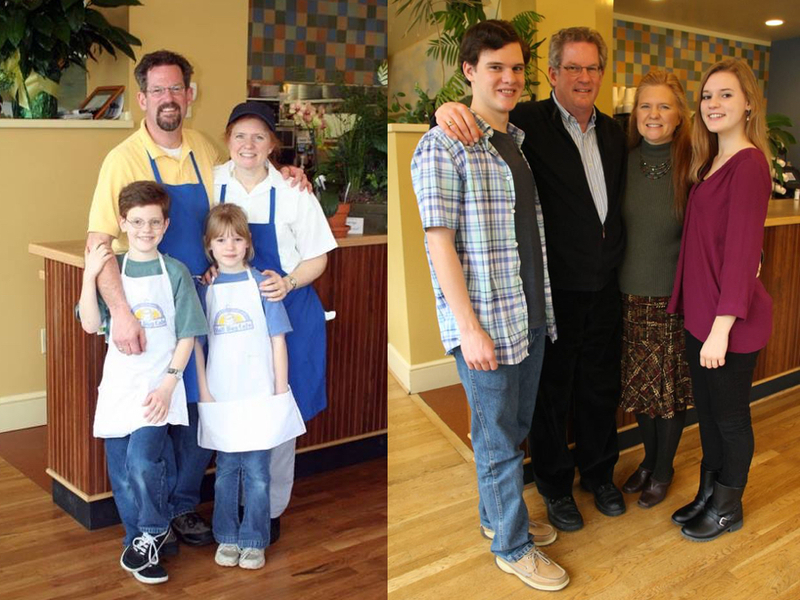 Now, 12 years later, the kids are in college, and the Hipsleys are moving up, too. They're opening a second location of their beloved breakfast-and-lunch eatery. Half Day Cafe 2.0 will open in Deerfield Township in September. The new location is part of a development going up at the corner of Wilkens Boulevard and Irwin-Simpson Road, where three buildings are currently under construction. Half Day Cafe is the only confirmed tenant so far, Dale Hipsley said. The site needed to be rezoned, so it has been a nearly three-year effort to get it off the ground, but Half Day will stand as one of the few independent restaurants among a sea of chains. Red Robin, BRAVO, Perkins and Bob Evans are all nearby. Hipsley said the cafe already draws diners from the Mason area, as well as from all over the Tri-State. "We cook from scratch," Hipsley said. "It's homemade, real food, and the chains aren't doing that. That's part of the fun of the new place -- we're going to be able to differentiate ourselves by the fact that we are still independently owned. We think that location is a great spot, and the demographics are solid." Hipsley said he and Patty had always thought about opening a second location but decided to keep it simple. That was until 2014, at least, when a water pipe burst in January in the building's overhead attic space. The flood caused massive damage, and the restaurant closed for a month for repairs. "I didn't think I had a second restaurant opening in me, but after that I realized, I guess I do," Hipsley said. "It was a lot of work, but I could do it again. And about that time the kids are getting closer to college, and you start doing the math. As you look at college, as you look at retirement and how long we want to keep doing this, we decided we should probably kick it up a notch. This was a good time to do it. So we started looking for space." Half Day Cafe is known for its standard favorites -- mango butter rum pancakes, egg strata and a fig, gouda and bacon sandwich -- but also for its creative seasonal dishes, such as orange-stuffed French toast, a pesto chicken wrap and pear salad. The menu changes regularly. The Hipsleys buy produce at the Wyoming Farmers Market, their coffee is roasted in Blue Ash and their bread is baked on Red Bank Road. The restaurant's name is a nod to its abbreviated business day -- the menu includes breakfast and lunch items only, and guests are served until 2 p.m. That was intentional; the schedule allowed the Hipsleys ample family time, he said. The new location will carry the same hours -- the cafe opens at 7 a.m. Monday-Saturday and at 9 a.m. on Sunday -- and will have the same look and feel, although a new logo is planned. The color palette will be similar, and its walls also will be adorned with murals. There's a counter bar and pass-through window for food. "As much as we're able to re-create the atmosphere there, we will," Hipsley said. The restaurant will seat 105 -- versus 70 in Wyoming -- with the same menu, Hipsley said, although it may be pared down to start. Half Day Cafe will hire about 35 people to staff the new space and is currently hiring for all positions. Hipsley said the plan is to open by mid-to-late September, but there's a lot of work to do between now and then. "We've got our foot on the gas. This is the exciting part," he said. "All this has happened in a very organic way, and we're very proud of that. Evidently, what we've done has resonated with people. And here we are, 12 years later, and we're still standing, still married -- now for 26 years -- and growing (as a business). We're certainly happy about that."